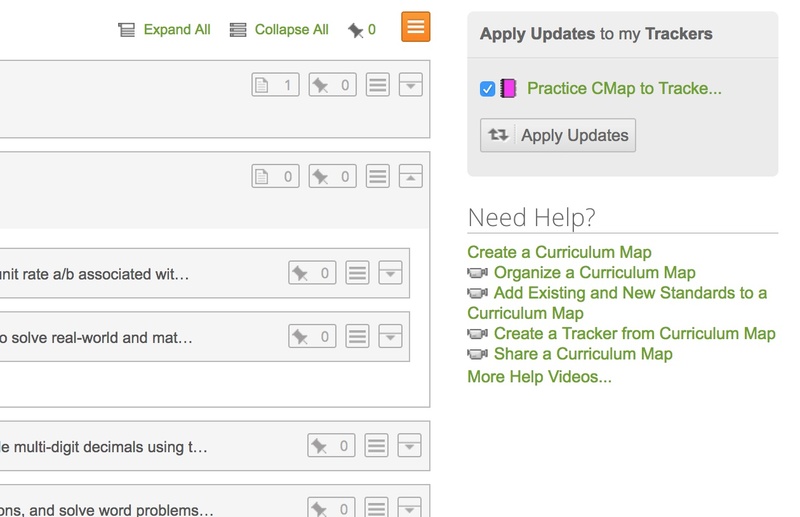 Click on Maps, then select the curriculum map. To update any of your own trackers, select the check box for that tracker, and click on Apply Updates. 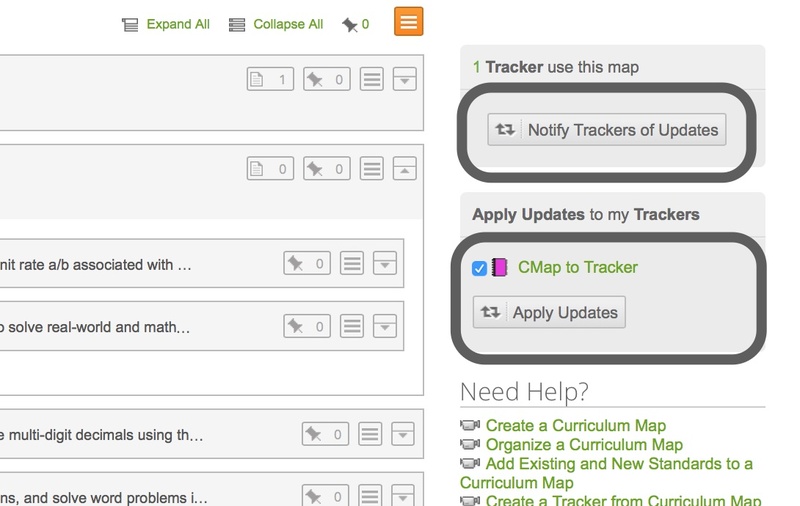 If any other teachers have created a tracker from your curriculum map, you can click on Notify Trackers of Updates to send the update to them. When someone updates a curriculum map that you are using, you will receive an email. Click the View Updates button in the email to see the changes. After you have viewed the changes, select the check box for the tracker, and click on Apply Updates.